Luxor, Egypt. He looks like a fugitive, but he is not! 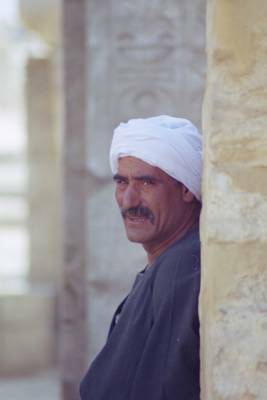 He is one of the guardians of the famous luxor temple. He avoided my lens several times until I managed to get this 'fugitive' look on his face. I love the Fugitive look.... Are not we all 'fugitives' in some way or another! May Hashim, from the land of the fugitives.